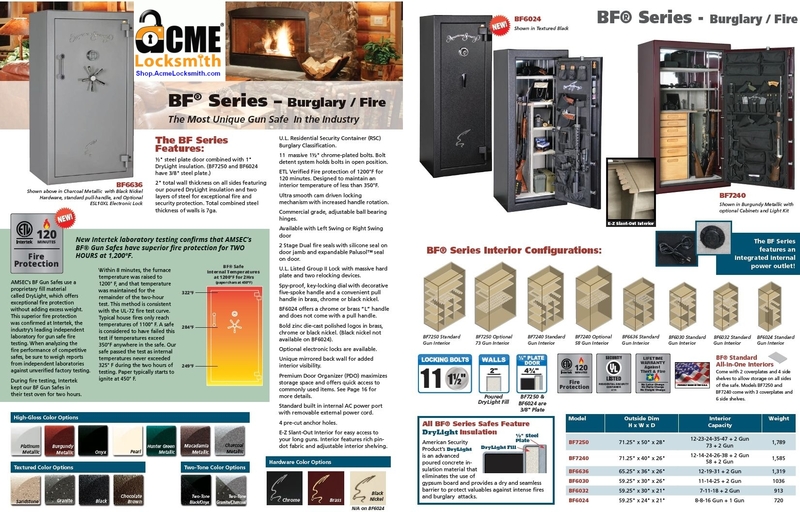 The BF series by American Security is one of the highest quality safes you can own, and it's American Made. This 2-hour gun safe is compact enough to fit into most closets.Though BF safes do not carry a TL rating they are one of the strongest gun safes made with concrete filled walls and 3/8 inch solid steel doors. 3/8" solid steel door plate 4-6X as thick as that of a big box store.